Red Tiger Gaming is a brand new software provider. However, whilst the company itself is new to the industry, the people that make up the team behind it are not. The company is continually growing and is comprised of software developers, graphic artists, gambling experts and many more, all with a common goal of creating the best games possible. To quote the team themselves, this is “the science of fun!” Despite their short period of existence, the company already has a decent selection of slot games, and, more surprisingly, a small collection of table games that have not suffered even with the company’s focus being on slots. 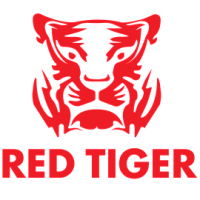 Red Tiger Gaming was founded in 2014 and is based on the Isle of Man. The company already has a considerable repertoire of games to their name. Helping to push it forward in this highly competitive industry. This young company has branched out into multiple genres of games within the industry, helping to make it stand out from other new competitors that decide to just make slot games. To help promote and spread its games around the world, as well as give themselves more credibility, Red Tiger Gaming has also made a number of deals with big name casino operators. Some of these names include Paddy Powers, PokerStars, Betsson and Coral. These partnerships were made possible because of the excellent quality of the games they have, all of which are designed well and offer great odds for the players. Thanks to their relatively recent arrival on the scene, all of the games are accessible across a range of platforms, devices and operating systems. Furthermore, they are also available in over twenty languages which helps to give these games a global appeal. They also use RTG Core software. Named the most advanced engine on the market, in an effort to bring the best experience to their players. As with most companies, Red Tiger Gaming predominantly offers slots, but they’ve done a stellar job with them. Both sound and graphics are easily on a level with some of the top companies out there. On the downside, the bonuses leave little to be desired, being on the more basic side. They include free spins, some exploding symbols and wandering wilds, which can all combine for some lucrative wins. Each of the games has a decent information page as well where the return to player rate is clearly displayed. Showing that their games generally sit at 95%, which is more higher than average. Currently, Red Tiger Gaming has over forty slots available, each crafted lovingly by the workers at the company. Some of the current favourites include Fortune Charm, Dragon’s Luck Power Reels and Laser. For something even more exciting, the latest slot from the company is about to be released. This slot, dubbed Reactor, has the potential to award players as much as 5000 times their initial stake in the game. It has a high volatility rate as well as a high hit rate giving us hope that some serious money can be gained from playing it. It also seems to hold more features than some of their other games. One might think that their table games would suffer in comparison to their slots, but this is far from the case. Red Tiger Gaming offers just four different table games including two different, and rather inspired, blackjack variants. These are Deal or No Deal Blackjack and regular blackjack. The only other table games on offer are roulette and baccarat so nothing too fancy there just yet. However, the fact that these games are available is already a huge point in their favour. You will be glad to know that all of the table games have a classy and elegant touch to them. Each of the games comes complete with a full list of rules. For example, the baccarat game is played with only six decks rather than the traditional eight. The baccarat table also has a full scoreboard available to the players, including things li commonly found on internet casinos. The two versions of blackjack also have their rules carefully laid out. And both still work with basic blackjack strategies as well as having good payouts. Roulette has a single zero pocket which gives it a better house edge. Red Tiger Gaming has only been around for a short space of time so it has not had a chance to collect a vast array of awards to show off its prowess. Although their games do speak for themselves once they are played, it is, of course, nice to receive external recognition. However, this year marked a big success for Red Tiger Gaming with a decent win at the prestigious EGR B2B Awards. There they won a number of accolades including RNG Casino Supplier and Mobile Supplier of the Year. Both were highly sought after awards, contested by a number of the biggest names in the industry. The week preceding the EGR awards, Red Tiger Gaming was also successful at the lesser-known Which Bingo Awards, scooping the prize for Best Online Slot with the specific winner being their game Rocket Men. Going a little bit further back, 2017 actually really marked the breakthrough year for the company. Earning them some minor recognition within the industry alongside more productive partnerships. And a greater awareness about their games. In fact, many people had not even heard of the company until last year despite its 2014 arrival on the scene, though now many are touting it as the next big thing. As part of its goal to ensure that all of its games adhere to the correct standards, Red Tiger Gaming is licensed with a number of high profile governing bodies. Currently, the company is able to operate in the UK and Isle of Man jurisdictions and to that end is licensed with the regulators of the UK Gambling Commission and the Isle of Man Gambling Supervision Commission. These two regulators ensure that the games are operating under specific regulations particularly those of fair gaming. In order to ensure fair gaming across the board, all of their games undergo regular third-party auditing. Red Tiger Gaming also takes the safety of its players into consideration and ensures that its games come with a number of features to help promote this. These additional features include players being able to keep track of their wagers, how much they have won and lost, and also keep track of how long they have been playing. Players that feel things are getting a bit much can self-exclude and this process is helped along by the operators working alongside Red Tiger Gaming who also have such policies in place. Players can also access a number of player helplines as well. Red Tiger Gaming is a surprisingly impressive game provider. It ticks all the boxes in all aspects of its products from the way they are presented to the artwork of the games and the in-game features offered. Everything is top quality and this is accompanied by some very strict gaming safety and responsibility to its players. If they continue along this path of expansion, we can’t wait to see what’s waiting for us around the corner. Don’t just take our word for it though. Head over to one of the casinos that offer their games and check them out for yourself.